The 2012 fall-winter festivities have begun, both in the east and in the west…..Navratras, Durga Puja….Dusshera…Diwali…Christmas and, New Year’s Eve! All these festivals and celebrations are all about family, good food, music and of course NO DIETING!!! 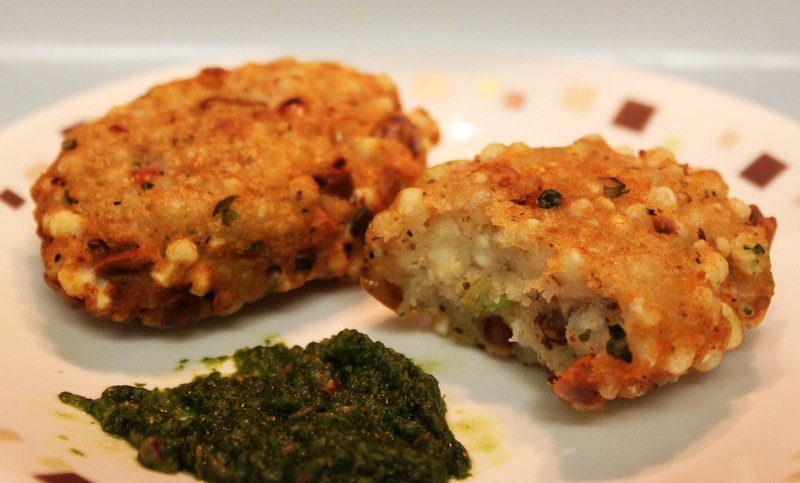 Sabudana Vada, whether as food while fasting, or as a snack, is superbly delicious. Since it is deep fried, it may not rate high on your health index, but it definitely hits the ‘All Time Tasty Top 10’. I love them hot and crisp, just out of the Karahi (wok). These vada are addictive. You just can’t have enough of them! Never. Have you tried this snack before? Is my recipe different? Is there another variant that you have perfected? Please comment below and let me know. Thes best thins is that they are so easy to make….and yet taste so amazing! !